There’re a maximum length of 15 characters allowed. 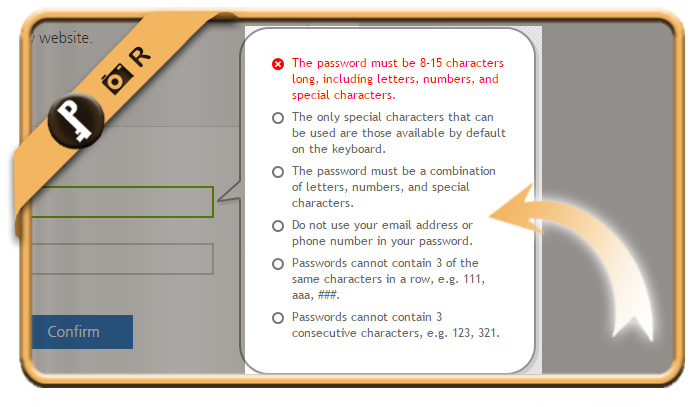 You’re obliged to mix up letters, numbers and special characters. Otherwise it won’t work. A password like PasswordP@t1 for example would be a good one.